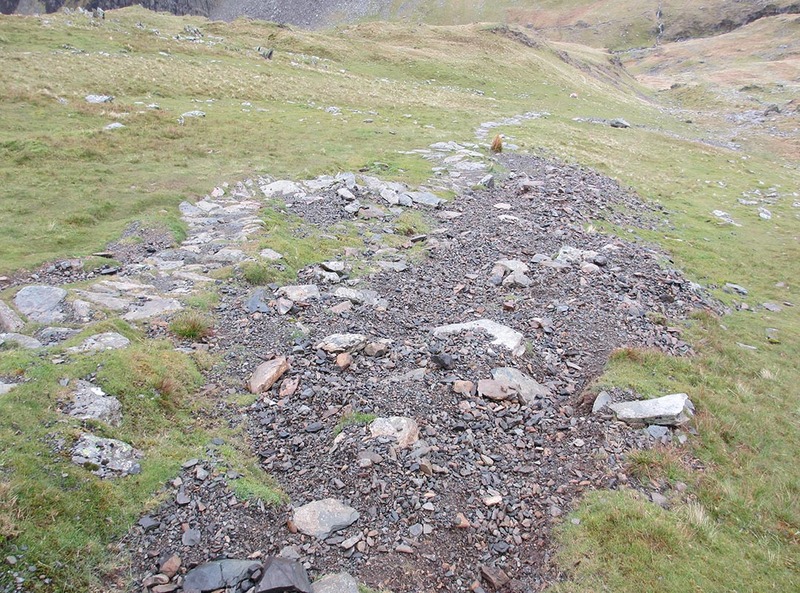 The path from Dalehead Tarn towards the summit was mostly stone pitched in the mid 1990s. The work has lasted fairly well, but some of the pitching is falling out and the improvements in technique mean some needs replacing. The work will involve some re-pitching, some new pitching and landscaping/containment works. This project has been identified as a priority, as with a relatively low level of input now, the remaining work can be saved. As work on Striding Edge can only be completed during the right weather conditions, work on Dale Head will not begin until later in the summer. The rocks have been flown to site and a shed has been constructed to provide shelter for the team. It is being led by our newly formed Northern Team, based in Borrowdale. We are fortunate to have received funding from the British Mountaineering Council’s Access Conservation Trust. They have donated £7,000. We have also had a donation of £600 from Kendal Fell Walkers, a group who regularly undertake work with Fix the Fells. These contributions are vital to this piece of work.